The elections have witnessed a relatively higher level of interest in national security issues than hither to. One issue that stood out as a landmark has been the reference to the nuclear doctrine. The ensuing significant commentary will no doubt inform fresh thinking as and when the next administration settles into office. It would of necessity have to take on board the military perspective among other interconnected and overlapping inputs such as political, technological, diplomatic, intelligence and informational. This article anticipates what a military input might look like in any impending review. While this would no doubt already command the attention of the Strategic Forces Command, the NSCS strategy programmes staff and perspective planning and doctrine offices, their necessarily closed deliberations can usefully be informed by commentary in the open domain. In essence, the question that needs answering from a conventional war perspective is: How is deterrence better served from among the alternative models? In the main, there are three models, namely: ‘massive’ nuclear retaliation; ‘flexible’ nuclear retaliation; and the ‘Sundarji’ model. The ‘massive’ nuclear retaliation model has it that visiting unacceptable nuclear punishment of higher order levels can serve to deter the nuclear hand of the enemy. The problem this model has faced is in answering as to what should be done in case of the enemy’s introduction of nuclear weapons into a conflict at a lower order level. In the recent debate, the orthodox view has been represented by Shyam Saran, current chair of the NSAB, arguing for strengthening India’s nuclear retaliatory capabilities at higher order levels and the resolve to follow through. The second model, ‘flexible’ nuclear retaliation, has votaries ranging from Ajai Shukla to Vipin Narang. Finding the ‘massive’ model weak on credibility, in that it is unable to answer the problem posed by appearance of Pakistan’s Nasr on the battlefield, this model posits appropriate response that need not necessarily be escalatory. This way India will have suitable limited nuclear operations to respond to the low threshold lower order nuclear challenge by Pakistan. It would in any case also have the ‘massive’ option up its sleeve. The question is that would this deter nuclear first use better. Between the two models, the problem with ‘massive’ is that higher order levels of retaliation will elicit a like counter from Pakistan, even if its retaliatory capability has been set back considerably. This owes to it have crossed into lower three digits in terms of warhead numbers, thereby acquiring a second strike capability, in the sense that India’s retaliation in the first instance would not be able to degrade Pakistan’s counter strike to an extent that it is unable to visit harm on India. Even if we grant the DRDO its sci-fi assurance that Delhi and Mumbai will be saved by the fledgling BMD capability, there is enough of India left over to suffer from nuclear ordnance. Besides, there are new studies on environmental consequence of higher order nuclear exchanges that suggest that the entire world stands to suffer from regional nuclear war. In other words, even if it has the intent, India will not be able to follow through with ‘massive’ due to self-deterrence and global effort at de-escalation. Consequently, flexible nuclear retaliation enters the debate as a credible alternative. The problem with this model is about escalation control. The votaries of ‘massive’ argue that escalation is ‘inexorable’ and graduated deterrence with its levels and ladders is chimera when it comes to the crunch. In sum, while ‘massive’ focusses on deterrence; ‘flexible’ focuses on its breakdown. While ‘massive’ is less than credible; ‘flexible’ has problems with escalation control. It is here that the third model, the ‘Sundarji’ model, pitches in. While Sundarji has been credited with instigating evolution of India’s conventional doctrine with his fathering of mechanisation, his ideas in the nuclear field have received less attention. This owed no doubt due to his being indisposed due to ill health in his last years when the nuclear debate really picked up in the mid-nineties. The Sundarji model has it that nuclear exchange(s) if begun must be ended soonest at the lowest level of escalation. This may involve mutual political and diplomatic concessions since both states in conflict would require cooperating to bring an end to the exchange(s). The urgency for both to do so is what will induce otherwise counter-intuitive cooperation. The international community galvanised by the potential catastrophe that can affect it, will help facilitate this. Preexisting mechanism can also ease communication barriers, making cooperation plausible. The Sundarji model answers the problem of inexorable escalation brought out by ‘massive’ votaries, by factoring in intent to limit nuclear war. Massive votaries say limited nuclear war is a contradiction in terms. This informs their logic of ‘massive’. Even if they are taken as right, then it only makes more sense to try and limit nuclear war. 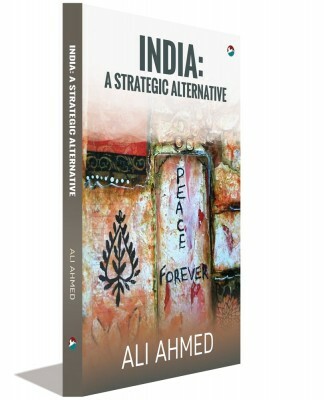 The Sundarji model while aligned with flexible nuclear retaliation in envisaging limited nuclear operations caters for escalation control and war termination by returning the focus to political and diplomatic in case of nuclear war-fighting outbreak; after all war does not cease to be political even if it goes nuclear. The model accepts the necessity of cooperation in escalation control. While a war-fighting model, it is not a war-winning one, aware that nuclear wars cannot be ‘won’. The mechanisms of limitation therefore need being studied and emplaced prior. This may involve networking the adversary since limitation is a two way street. Doctrinal exchanges and nuclear risk reduction measures and mechanisms need going beyond confidence building. This has to be done in times of peace, when these would be easier to embed. As seen, ‘massive’ being incredible, nuclear outbreak can occur. Having appropriate limited nuclear operations deters such eventuality. Therefore, a shift to ‘flexible’ appears appropriate. Since Sundarji model furnishes escalation control and war termination better, the military could also input on the mechanisms that would of necessity have military representation. 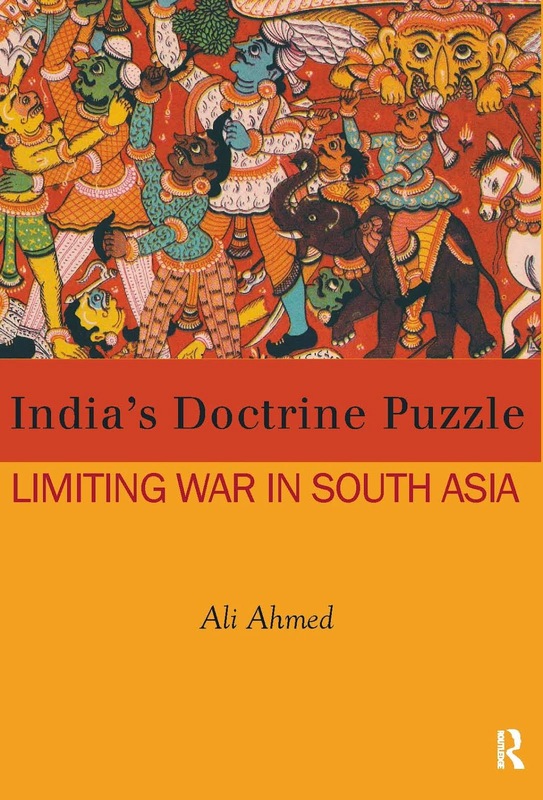 While it can reasonably be asserted here that limited nuclear operations are already on the radar of the SFC, the military could lend its weight to South Asia going beyond CBMs to Nuclear Risk Reduction Measures (NRRMs). 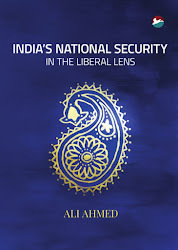 Col (Dr) Ali Ahmed (Retd) is a Delhi based strategic analyst. Views expressed are personal.